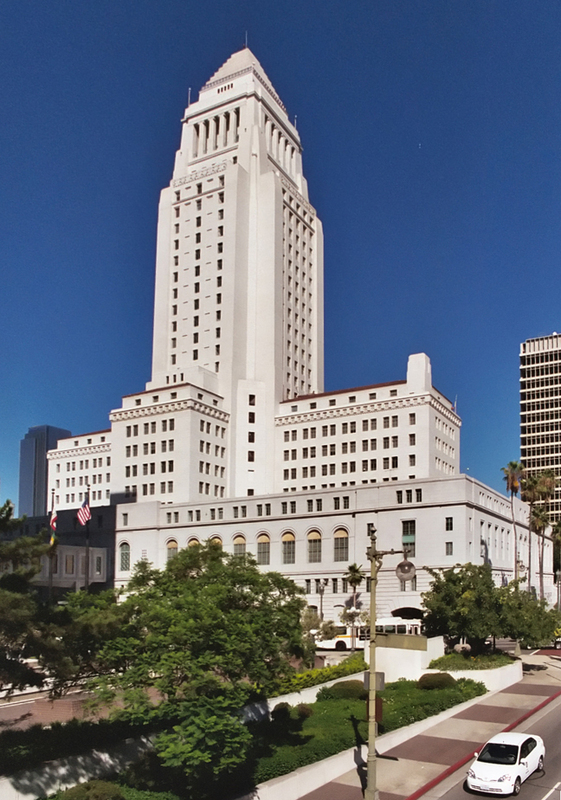 Los Angeles Mayor Eric Garcetti this week signed an $8.6 billion budget for 2015-16, calling it the result of an “unprecedented collaboration” between the City Council and the mayor’s office. The Los Angeles City Council this month adopted the spending plan, which takes a step toward restoring the ranks of city firefighters depleted through a five-year hiring freeze. The budget increases the Fire Department’s budget by $55 million, and includes a revision by the council that adds $4.5 million to hire a total of 270 firefighter recruits, more than the 180 recruits this year. The council’s revisions also include about $6 million for fire safety equipment and technology upgrades, and other fire department services. The budget also provides more funding for the police department, including $70 million for overtime, $4.5 million to purchase 7,000 body cameras and $500,000 to reduce fingerprinting backlog. More sidewalks are expected to be repaired next year, thanks to a recent $1.4 billion settlement of several lawsuits lodged by disabled residents and advocates. As part of the terms, the city agreed to spend about $31 million a year toward programs for fixing broken sidewalks, with the adopted budget calling for $21 million to be spent in the coming year. The budget also includes $9.1 million for cleaning streets and alleys and placing 1,200 trash cans around the city, as well as an expanded $6.5 million budget for tree-trimming. The spending plan sets aside $10 million in the city’s affordable housing trust fund to create more homes for low-income residents. The budget assumes revenues will be up about 5.5 percent, including property tax, sales tax and hotel tax revenue. It also assumes that about 20,000 city workers will agree to no raises and many will pay a bigger percentage of their health-care costs, but talks with city employee unions have dragged on since their contracts expired last year. The budget sets aside about $300 million in a “rainy day” reserve fund.